Photographer's Friend 3 by Martin Bailey Photography K.K. 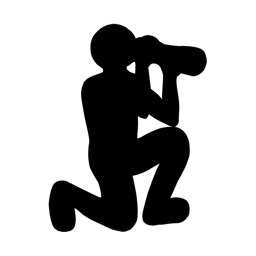 *** Exposure Shift Calculator *** NEW! When changing exposure on your camera, it's not always obvious which settings to change to counter adjustments you make. When you adjust your aperture from f/5.6 to f/11, does your shutter speed need to go up, or down? 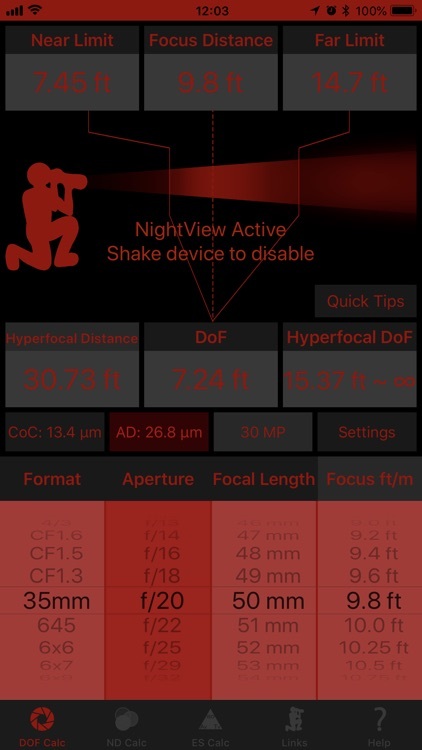 How does it affect your ISO? 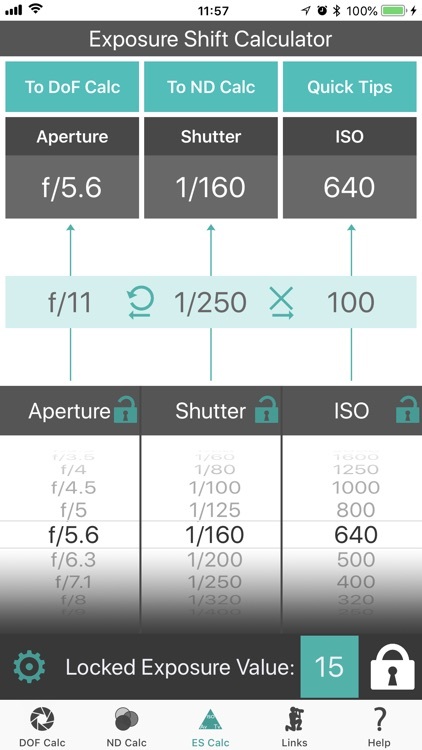 The brand new Exposure Shift Calculator has the answers! 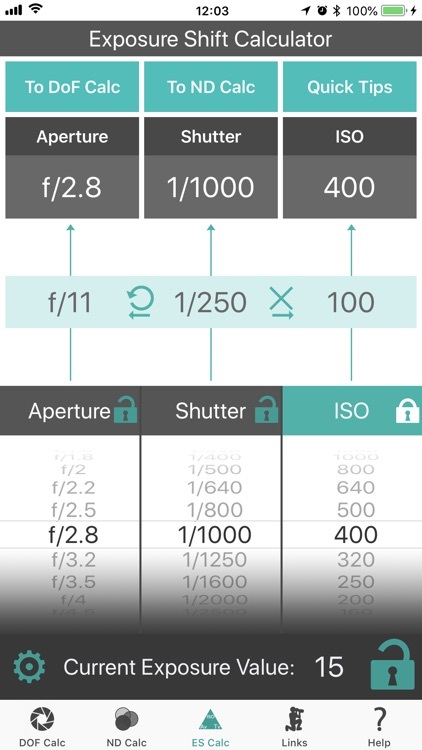 Enter your current camera settings with the Aperture, Shutter Speed and ISO dials, and watch Photographer's Friend calculate how changes to one dial affect the others. You can lock any of the three dials to calculate just the other free dial automatically, or turn on Exposure Value Lock to have Photographer's Friend calculate all settings for you! Slide the green band in the middle of the screen to store your initial settings for reference, and Exposure Value display and EV Lock features are invaluable for keeping track of changes and when looking for appropriate settings from a light meter EV readout. 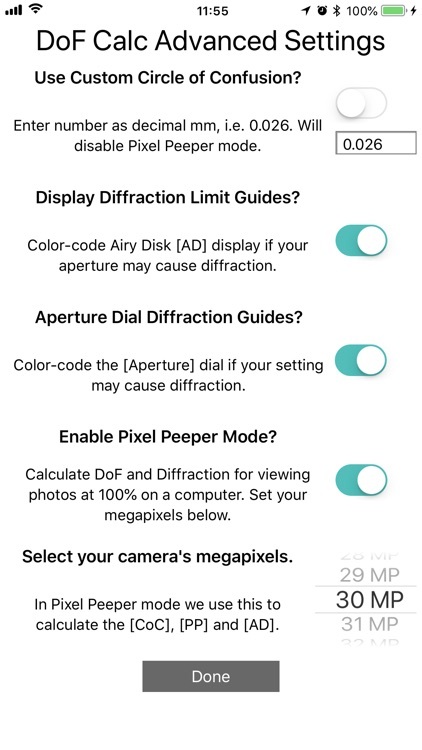 We've also added a button to send your aperture to the Depth of Field Calculator and another to forward your shutter speed to the Neutral Density Filter Calculator. 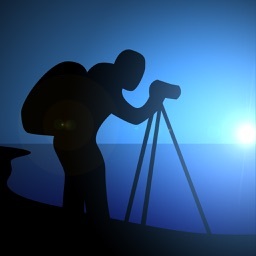 If you do not need the Exposure Shift Calculator, Photographer's Friend version 2 is still available, but consider it in maintenance mode. New features moving forward will be added to version 3. The following two calculators are available in both version 2 and 3. 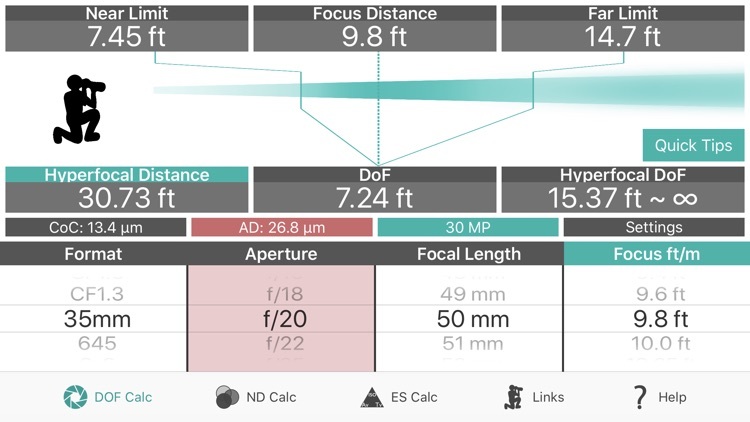 Calculate the amount of Depth of Field that you'll get in your photographs based on your camera's sensor size, aperture, focal length and focus distance, set with four dials along the base of the DoF Calc. The display includes your Hyperfocal Distance which can be transferred to the distance dial to update all settings quickly with a single tap. Distances are can be displayed in metric or feet and inches. 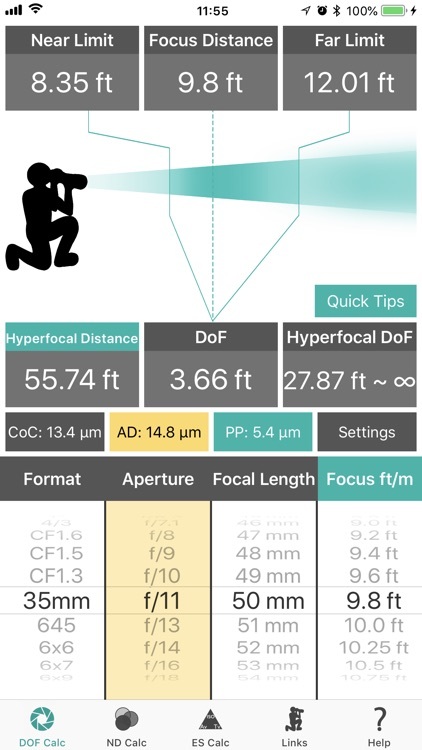 By default, we use traditional Depth of Field calculations, but Pixel Peeper mode calculates Depth of Field using your sensor size and megapixels for higher accuracy. 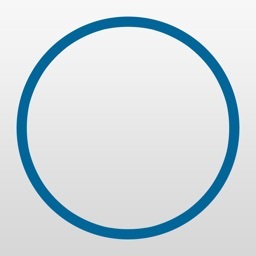 You can also enter a custom Circle of Confusion size if you prefer. There's even a diffraction warning mode! The neutral density filter calculator takes any shutter speed that you might set on your camera and calculates your new shutter speed after fitting ND filters to your lens. 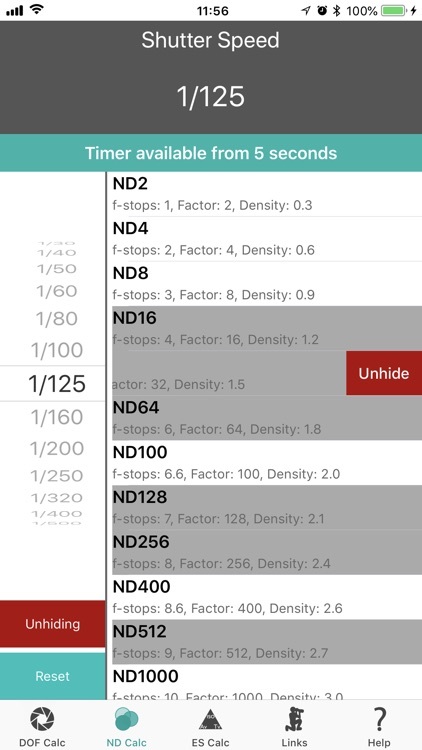 The filters are labeled by the multiplication factor (ND2, ND4, etc.) with f-stop and optical density values also displayed. You can hide filters that you don't use or bring them back again with slide gestures. 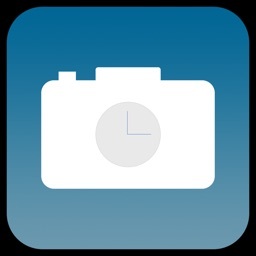 A timer is available for shutter speeds of 5 seconds or more, so if you don't have a timer switch or built-in timer in your camera, we'll time your exposure for you! 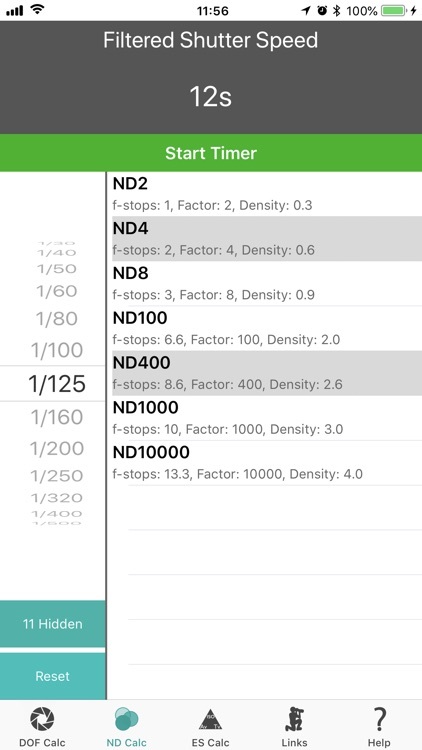 You'll never need this in real life, but the ND Calculator allows stacking of filters for up to 30-year exposures, which is helpful for understanding how neutral density filters affect the shutter speed and for teaching others when necessary. We've included links to in-depth articles on Hyperfocal Distance, Understanding Neutral Density Filters and Circle of Confusion, the Airy Disk and Diffraction, and a new article on Understanding Exposure Value, among other useful content. We've also provided a link to online tutorial videos to walk you through each calculator. There are links to email us directly or use our web contact form to ask general photography questions or send questions or suggestions for the app. 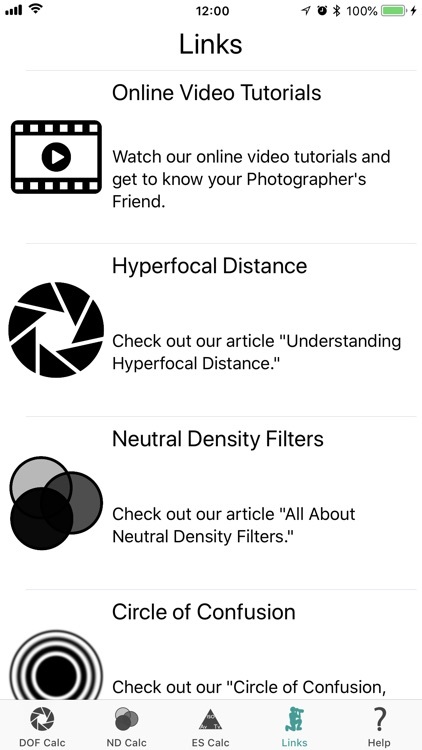 We think we have all bases covered, but for example, if you own a Neutral Density filter that is not listed, let us know, and we'll add it in a future update. 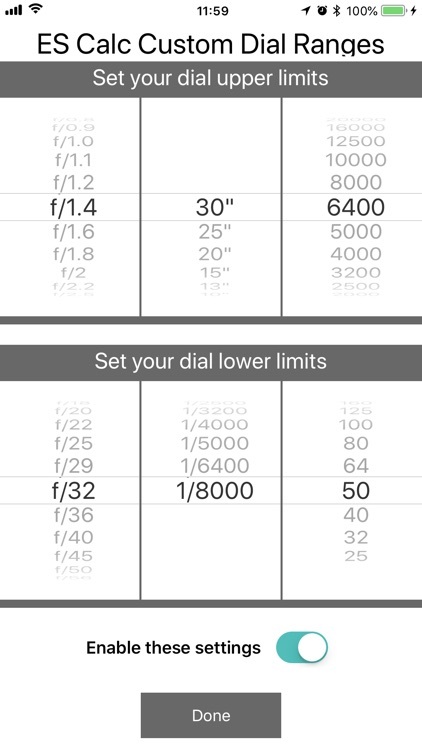 There are now three multi-page help sections with detailed information to help you understand the Depth of Field, Neutral Density and Exposure Shift Calculators. 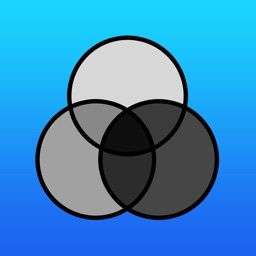 Whether you are just getting started or a seasoned professional, or maybe a photography educator, we think you'll find the three calculators in Photographer's Friend 3 invaluable!